Hantec is a respected brand with a mixed offering. The platforms have strong charting components yet lack basic functionality such as watch lists. Furthermore, to get the best spreads, a high minimum deposit is required for its Currenex platforms, compared to its MT4 offering where spreads are wider. Please Note: Hantec Markets was not included in the 2019 annual review. As a result, this broker's ratings may be outdated. Read our Best Forex Brokers 2019 guide for a look at the top rated forex and CFDs brokers. Founded in 1990, Hantec Group (Hantec) reorganized its Hong Kong-based entity, Hantec Pacific Limited (HPL) in 2008, and then expanded its regulatory licenses by obtaining authorization in Australia that year. Hantec then expanded into Europe in 2010 with an entrance into the United Kingdom, followed by Hantec (NZ) Company Limited, which registered with New Zealand’s Financial Markets Authority (FMA) in 2011. Also in 2011, Hantec registered with the Japanese Financial Services Authority (JFSA). The Hantec brand today includes Hantec Markets Limited, which is regulated by the UK’s financial conduct authority, and Hantec Markets Australia Pty Ltd, which holds an Australia Financial Services License (AFSL) from the Australian Securities and Investment Commission (ASIC). For its bullion related business, which operates as a legally exempt commodity exchange in Hong Kong, the group’s Hantec Bullion Limited entity is registered with the Chinese Gold and Silver Exchange (CGSE) Society, which was founded in 1910. Hantec offers spot trading on 42 forex pairs, 13 CFDs, and 25 futures CFDs through the popular MetaTrader4 (MT4) platform developed by MetaQuotes Software Corporation. Hantec also offers 28 currency pairs via the Currenex Viking and Currenex Classic desktop platforms from State Street Global Markets. Here at ForexBrokers.com, we maintain the largest independent regulatory database available on the web. Using 28 different variables, we have created a proprietary 1-100 score (the higher the better) of overall trustworthiness, which we call the Trust Score. Here is our trust summary of Hantec Markets. The following table summarizes the different investment products available to Hantec Markets clients..
Hantec’s trading costs depend on one of three platforms that are used for trading; these consist of commission-based accounts with the Currenex Classic and Currenex Viking platforms, and the commission-free account with the MetaTrader4 platform. Currenex Classic requires a minimum funding level of $25,000, and has a minimum trade size of 500,000 units or five standard lots, making it geared toward high-volume active traders. For comparison, the Currenex Viking platform requires only a $5,000 deposit and permits trades as small as 10,000 units or 1 mini lot. In both accounts, the round-turn commission rate starts at $60 per million units ($6 per 100,000 round turn) and is negotiable, depending on trading volume. Although MT4 is commission free at Hantec Markets, the spreads are comparably higher than the other account types. This account type is more accommodating for smaller deposits as only $1,000 is required to open an MT4 account, yet leverage is quickly capped for clients with more than $10,000 using MT4. Overall, with spreads of 1.8 pips on the EUR/USD on MT4, the commission-based Currenex accounts are more competitively priced, despite the added commission per trade, as the resulting all-in cost is lower. Hantec Markets provides research from its team of in-house analysts that produce daily and weekly reports, among other special reports and commentary. The broker also provides AutoChartist, a popular solution for automated technical analysis and analyzing trading opportunities, as well as Trading Central, which provides trading signals and pattern-recognition tools. Users can sign up for newsletters from both the firm’s in-house team as well as from third-party providers. The firm’s research offering is very light and lacks news headlines on its platforms, which are an industry standard feature. Adding news from a top-tier source in its MT4 platform, for example, and a greater range of research tools would help boost Hantec Markets’ ranking in the research category, as it is otherwise low. Hantec Markets offers the widely popular MetaTrader 4 (MT4) platform developed by MetaQuotes Software Corporation, and offers State Street Global Markets’ Currenex Classic platform used by professionals along with the Currenex Viking platform for retail traders. To read more about MT4, see our guide to MetaTrader. 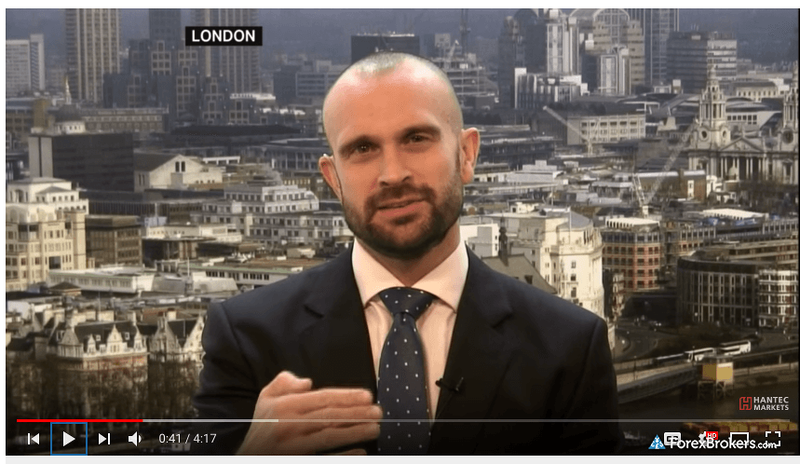 For this review, I focused on the Currenex Viking platform, which is branded as Hantec Viking Trader in the UK and Interbank Direct at Hantec’s Australia entity. 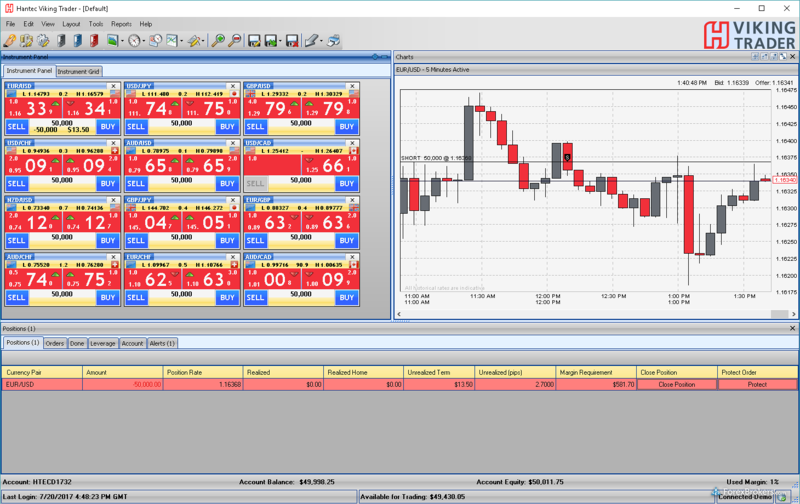 The Currenex platform layout in Hantec Viking Trader for Windows has a traditional platform look with an upper toolbar, a row of shortcut icons, and three main window panels that house the instruments, charts, and positions. 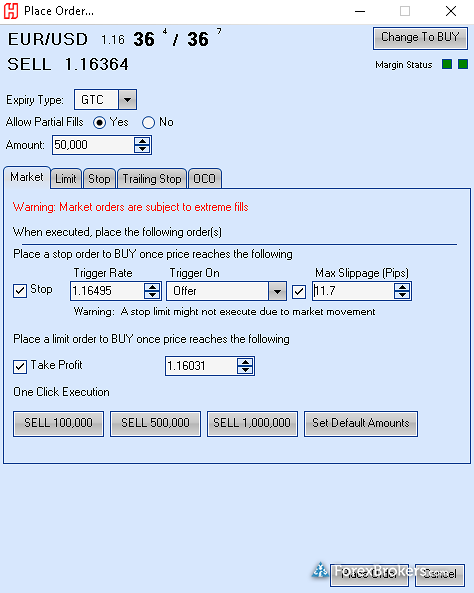 Moving to the trading section, the trade ticket window has a good range of settings to adjust pre-trade risk management and maximum slippage parameters, and to switch from available order types, including one-cancels-the-other (OCO) orders. Charting is also comprehensive in Currenex Viking, with 79 technical indicators and 25 drawing tools available. Switching between the 12 available chart types and eight time frames was also a smooth experience. That said, it wasn’t as smooth to open a new chart from various parts of the platform, such as the rates window. Minor drawbacks aside, traders will appreciate being able to see a history of their open and closed trades on the chart. Charting is also comprehensive in Currenex Viking, with 79 technical indicators and 25 drawing tools available. The range of settings on the platform are typical by industry standards, as can be found in the references section, with default order and trade size parameters, among other basic fields. As an early pioneer developing forex trading platforms, Currenex still has nearly the same look as it did ten years ago, and while this is mostly a positive feature, the platform lacks some modern functionality. For example, there is no watch list feature, and adding a toolbar on the charts with shortcuts to quickly open the drawing tools would yield a smoother UI, as it is cumbersome having to find each tool from a drop-down list each time. Adding a watch list, news headlines, and more options for alert delivery beyond sound would boost the Currenex Viking platform experience. Besides its robust charting and comprehensive trade-ticket functions that support advanced order types, the offering falls short for traders who desire more diverse platform features. Hantec Markets offers the popular MetaTrader 4 (MT4) mobile app developed by MetaQuotes Software Corporation, available for Android and iOS devices on the Google Play and Apple iTunes store, respectively. To learn more about MT4 mobile, read our guide to MetaTrader. Although the CXMobile Currenex app comes available for Android and iOS straight from the developer, it is not supported at Hantec Markets, which limits the use of mobile trading to just MT4 at the broker. In the UK, Hantec offers agency execution through its FCA-regulated entity, where its license limits it to act only as a matched-principal (the equivalent of a non-dealing desk). Hantec offers a CFD product range of 13 symbols, which includes nine indices, three energy contracts, and two precious metals. In this offering, the average EUR/USD spread was listed as 2 pips and the round-turn commission $10 per standard lot, which would bring the all-in cost to 3 pips, making it a more pricey option. On all Hantec Markets platforms, the spreads are floating and the execution method ranges from ECN on Currenex to market execution on MT4. For traders who want access to mobile trading and use MT4 at Hantec Markets, the all-in cost of trading will be higher on the commission-free MT4 (due to wider spreads) compared to the other commission-based account types on Currenex. Extending its commission-based pricing to MT4 would help Hantec Markets appeal to algorithmic traders as only manual trading is supported on Currenex, and on MT4 it is comparably more expensive as the spreads are comparably wider. Bottom line, Hantec’s value proposition appears to be most competitive for high-volume active traders who can meet the minimum trade size and the higher deposit requirement of its Currenex Classic and Currenex Viking platform, and who don’t require access to the mobile app, which is not supported. Select one or more of these brokers to compare against Hantec Markets. *Hantec Markets did not participate in the 2017 Online Broker Review, as a result the following data may not be up to date. MetaTrader 4 – Commission-free account, with spreads of 1.8 pips on the EUR/USD (minimum account balance $1,000). Currenex Viking – Commission of $3 per 100,000 units (one standard lot) or $6 per round-turn lot added to lower underlying spreads (minimum account balance $5,000). Currenex Classic – Commission of $3 per 100,000 units (one standard lot) or $6 per round-turn lot added to lower underlying spreads. Negotiable commission rate depending on trading volume (minimum trade size 500,000 and minimum account balance $25,000). Active traders doing over 500 million units (5,000 standard lots) per month can have their commission rate drop to $1 per side for every standard lot, bringing the round-trip cost to $2 per 100,000 units (or $20 per round turn million). Find out how Hantec Markets stacks up against other brokers.